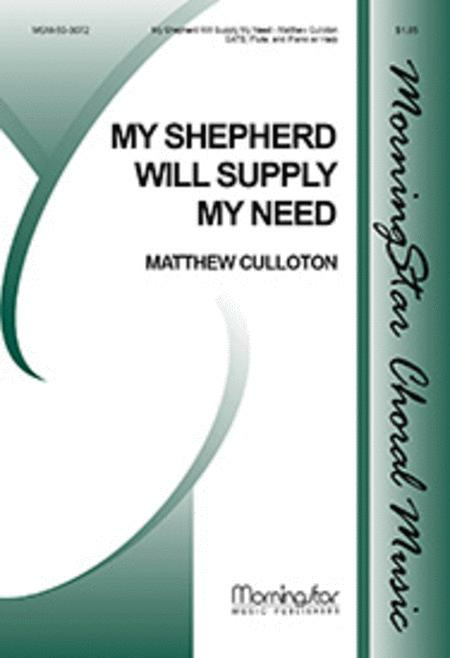 Composed by Matthew Culloton. Bestseller. Year A Easter4; Catholic Year A Lent4; Catholic Year A Easter4; Year A Lent4; Year C Easter4; Year C Lent3; Year A Proper 23 (28); Year A Reign of Christ/Proper 29 (34); Catholic Year A Ordinary28; Catholic Year A Christ the King. Good Shepherd Sunday, Easter, Church Anniversary, Funeral, 21st Century. Choral score. MorningStar Music Publishers #50-3072. Published by MorningStar Music Publishers (MN.50-3072). Text: William J. Irons. Scripture: Psalms 23. A lush combination of voices and instruments makes this setting of this Early American hymn a piece that will be a favorite of both choirs and congregations. Set on the hymn tune RESIGNATION. The accompaniment is equally effective with either piano or harp.